Grave marker for William D. Anderson in Magnolia Cemetery, DeFuniak Springs (Walton county), Florida. 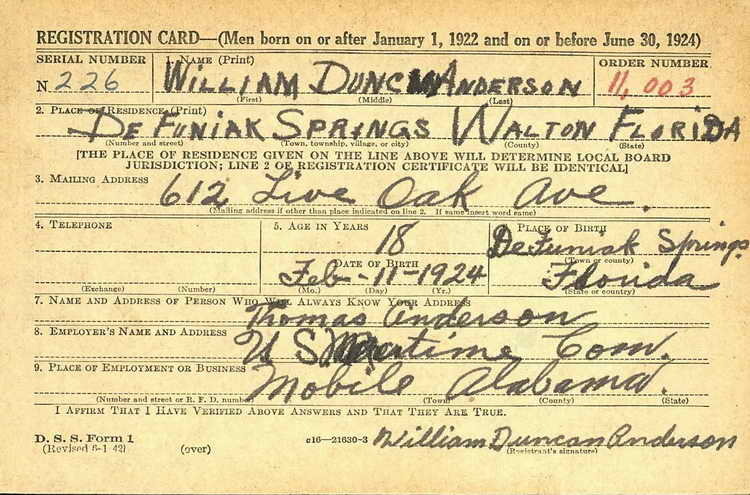 William enlisted at Camp Blanding, FL on 15 October 1942 and was undoubtedly put directly into the 508th as it was activated less than a week later. 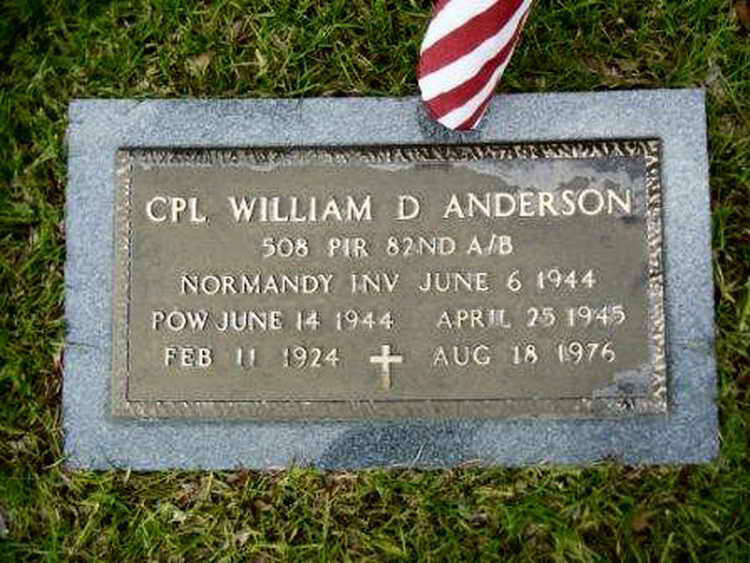 Pvt Anderson jumped into Normandy on D-Day and was captured that same day. Her remained a prisoner of war until 15 May 1945 when he was liberated from Stalag 4B.